Yonex are specialists in graphite shafts, so it is no surprise that their drivers are some of the best performers on the market. Yonex pride themselves on using innovative designs and materials to allow the everyday golfer to get the most out of every drive they hit. The EZone XP features a unique counterbalancing system to add power to any swing of any speed allowing every golfer access to extra distance with no loss in accuracy or forgiveness. The all new Z-Force is created from high end titanium with other cutting edge materials in the head to give a precise CG location for high bombed drives. 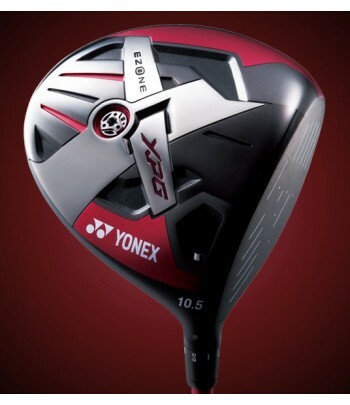 Yonex is constantly searching for better performing materials and designs for both shafts and heads to give every golfer the driver they deserve. Golf Warehouse UK is an authorised Yonex dealer, selling a wide range of high quality golf products. We are based at Inverness Golf Centre in Scotland and have over 30 years’ experience of trading in the golf market. The success of our high street stores lead us to expand our service to the rest of the UK and Europe, hence the creation of Golf Warehouse UK, which allows us to offer the same dedication and expertise to golfers across the continent as we have to our loyal customers at home.